The need for quality video surveillance is growing for all industrial and commercial sectors. Even public agencies are looking closer at video surveillance solutions to better protect citizens and businesses with a reliable wireless video solution. 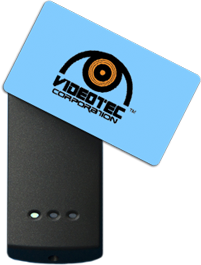 Videotec has proven experience and is a leader in providing high quality (radio) wireless video surveillance solutions for a wide range of applications, including secure wireless video systems. In many case, the option to connect cameras with wire is impossible, which leaves wireless video as the only realistic option. There are many benefits to wireless video. The installation of wireless (radio) video is faster and is much less costly because there is no need to for labor to trench, lay conduit, and pull copper wire. Another benefit of wireless is the flexible architectural designs that are available to fit the need for almost any application. Cameras can be positioned in many configurations to effectively transmit radio signals across a wide area: linear, point–to–point, or even point to multi–point. VTC wireless video systems are proven to be highly reliable for hostile RF environments and even long distances. These camera systems have a high scalability that enables the ability to build a large video camera network. The video is recorded in with a secure Cloud- based system that has expandable and scalable storage. The ability to provide high security wireless video solutions with high quality video makes this video solution ideal for a wide range of applications.